Founded in 1938 to help those who were still dealing with the effects of the Great Depression, local businessmen and area churches came together to form the Community Chest. A couple of name changes and nearly 80 years later, some aspects of this organization have changed but one thing has not - we are an organization of the local people, by the local people, and for the local people. Historically known as a fundraising entity, today we are more than that. 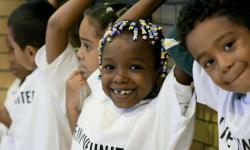 Today, United Way identifies needs and provides solutions to our communities' toughest problems. We are bringing people of the Ocoee Region together around a common cause, a common vision, and a common path forward. 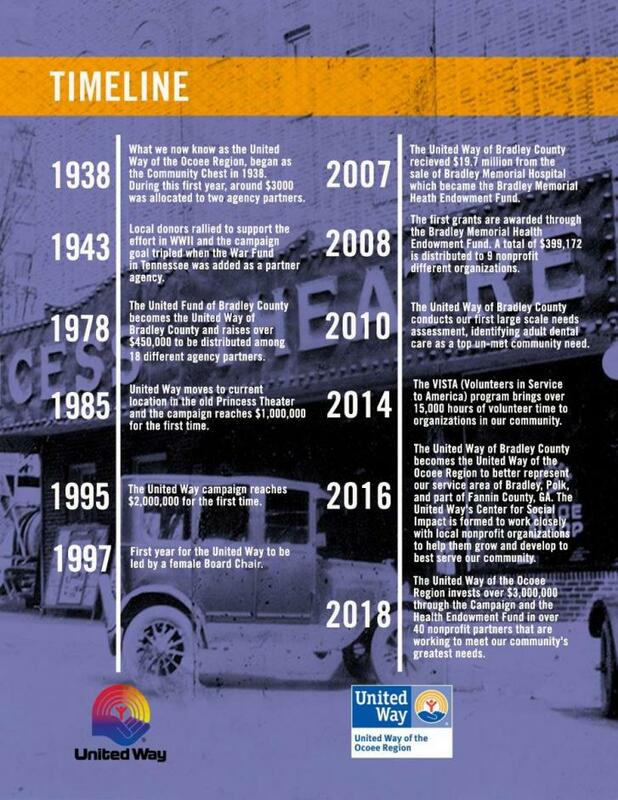 The United Way of the Ocoee Region connects people in Bradley and Polk Counties to community by bringing stakeholders together to address the crisis and chronic issues our community faces. We fight to find solutions to these issues in education, health, and stability by connecting our community to the needs and resources available. 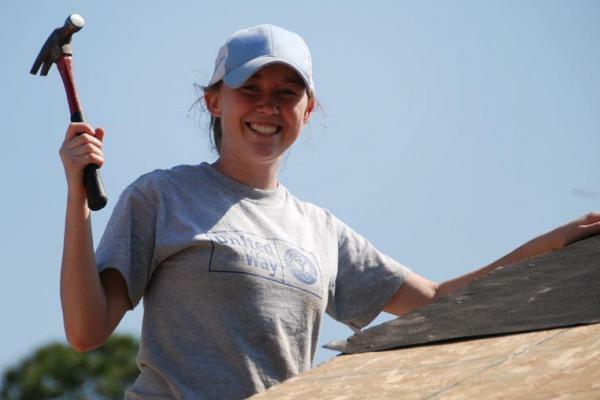 Though United Ways are engaged in nearly 1,800 communities across more than 40 countries and territories around the world, each United Way is completely independent of one another. 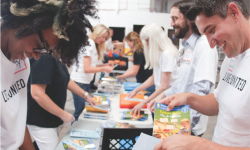 Since the needs in every community are unique to that community, each United Way works within their own community to lead impactful and sustainable change for good. That means when you give local, it stays local. When you volunteer, it helps a local organization. And when you advocate, it's for your neighbors. That's what it means to Live United.